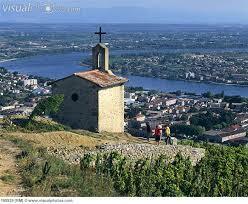 Tain l’Hermitage is a small town on the left bank of the Rhône in south-eastern France. 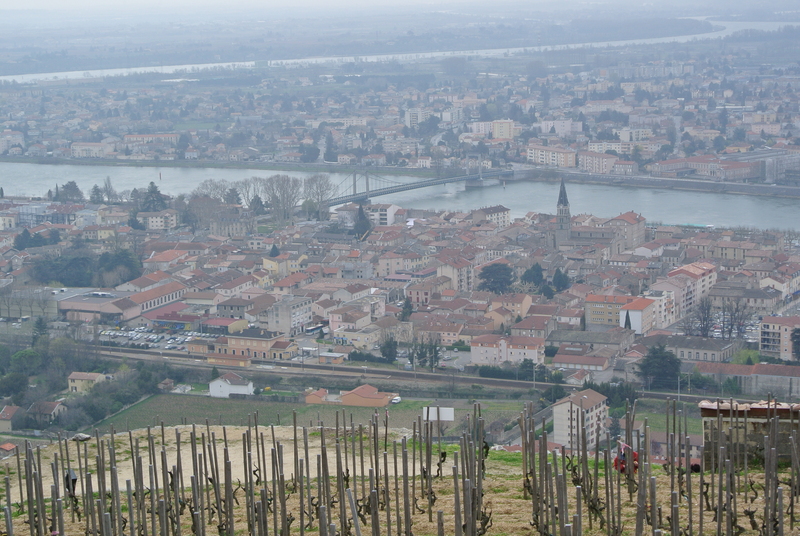 Located in the northern part of the Côtes du Rhône appellation contrôlée area, Tain l’Hermitage produces some of the world’s finest wines. 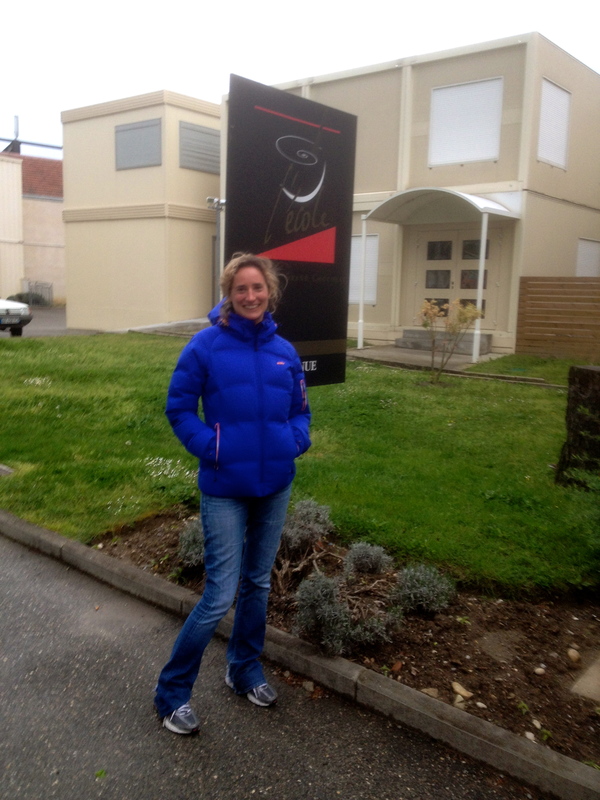 It is here in this small town of 5,000 inhabitants that I am developing my knowledge of chocolate at one of the world’s finest chocolate-makers. As well as being the region of origin of the Syrah, or Shiraz, grape variety, Tain l’Hermitage is home to one of the world’s best makers of single-origin chocolate, Valrhona. The story of Valrhona began in 1922 when Albéric Guironnet, a local pâtissier, created the Chocolaterie du Vivarais in Tain l’Hermitage. In 1947, the company changed its name to Valrhona, in reference to its location in the heart of the Rhône valley. Valrhona’s head office and chocolate-making facilities are still in the town today.The company is one of the biggest employers in the area, with a staff of around 600 people, and the company’s chocolate shop, selling Valrhona chocolates is a favourite stopping point for both tourists and locals. As the world’s leading manufacturer of quality chocolate, Varhona has much in common with the wine-producers that are its neighbours. Just as grape varieties and the soil in which they are grown influence the flavours and characteristics of fine wine, the flavours of different types of chocolate reflect the quality and origin of the beans from which they are made. 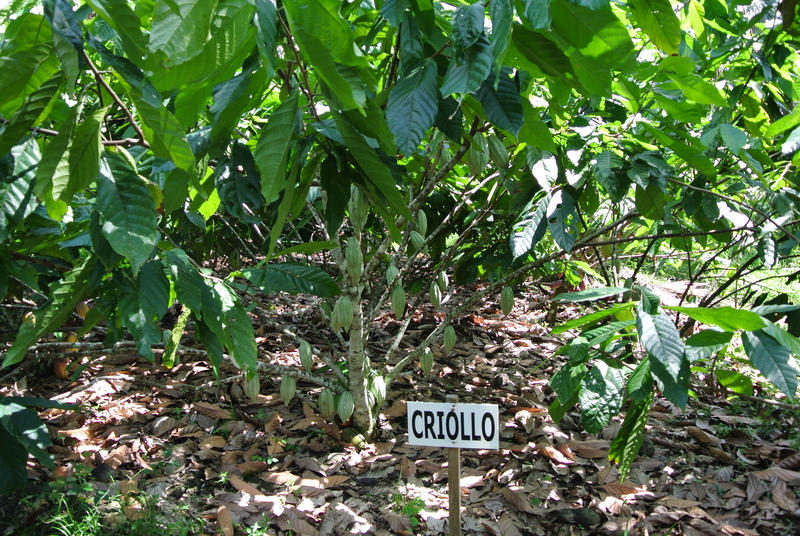 In its quest for quality, Valrhona searches for beans with special characteristics, partnering with cocoa-farming organisations in producing countries to ensure the quality of the beans. Wine-growing in this area dates back to Roman times. 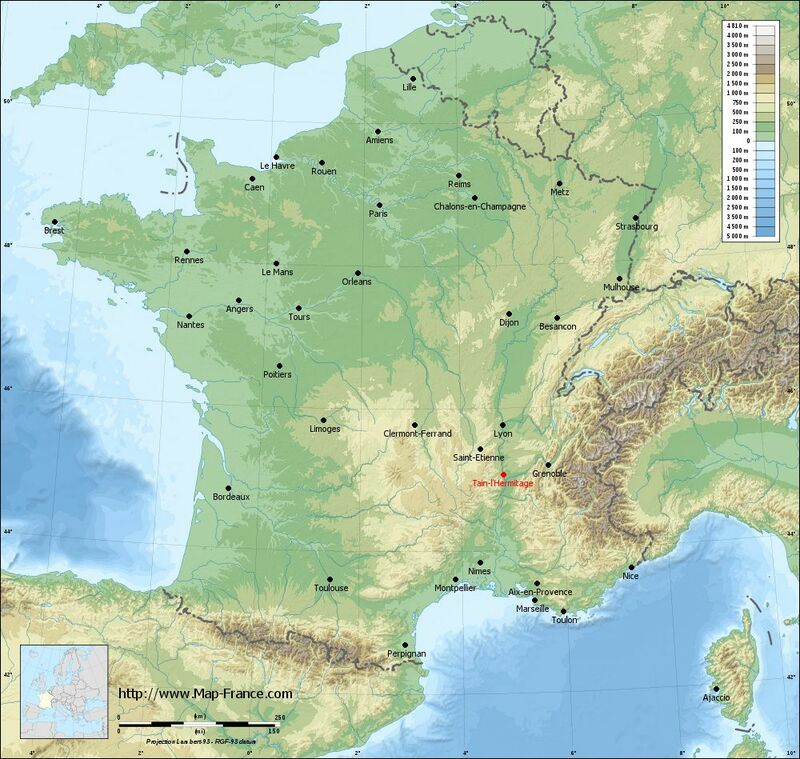 Vienne, to the north of Tain l’Hermitage, was one of the earliest Roman settlements in the region. 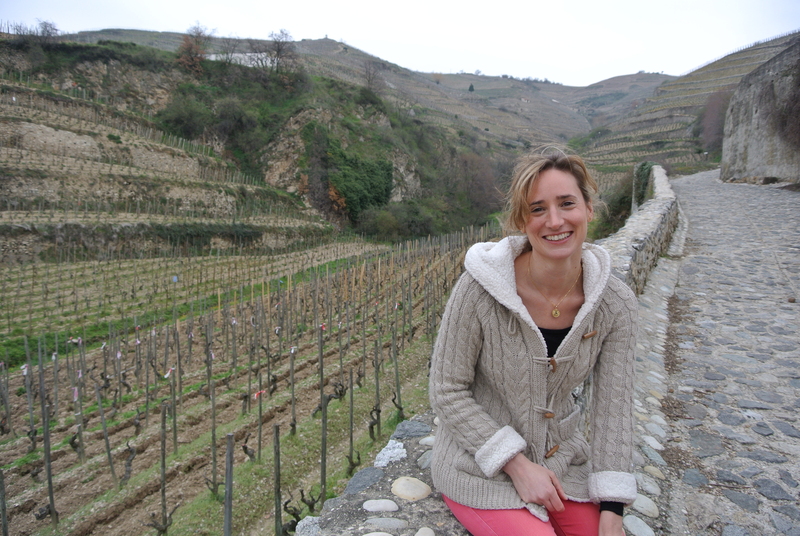 Some of the most prestigious Côtes du Rhône wines are produced from vineyards situated on the hillside above Tain l’Hermitage. 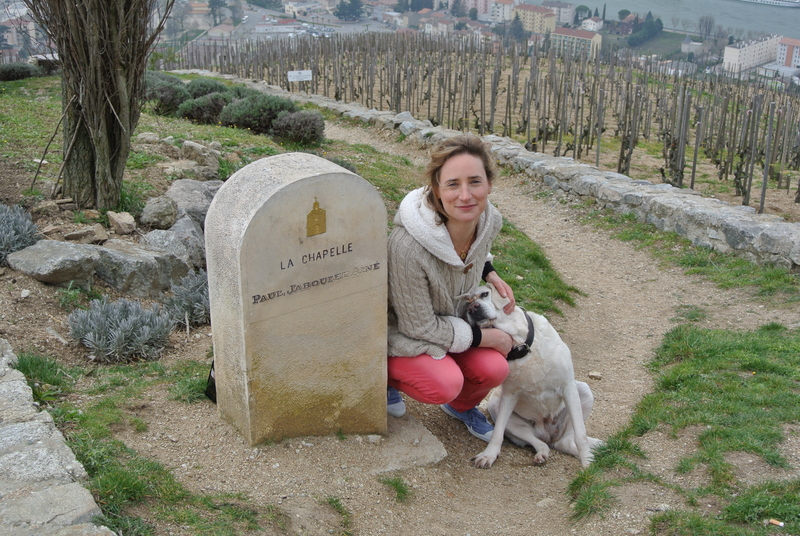 Walking uphill through the vineyards to the chapel of St Christopher, I notice that many of the vineyards are owned by two of the leading winemakers in the region, Chapoutier and Jaboulet. I can’t help noticing the similarities between wine-growing and cocoa-growing. Just the terroir determines which grape variety can be grown, the terrain determines what type of cocoa tree will flourish best. Just as the harvesting of the grapes is a crucial process in wine-making, the manner in which the cocoa beans are harvested and processed is of the utmost importance in creating great-tasting chocolate. 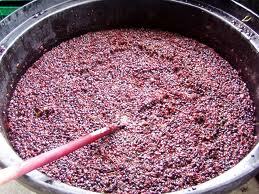 Both cocoa beans and grapes undergo complex fermentation processes to bring out the natural flavours and aromas that will characterise the end product. 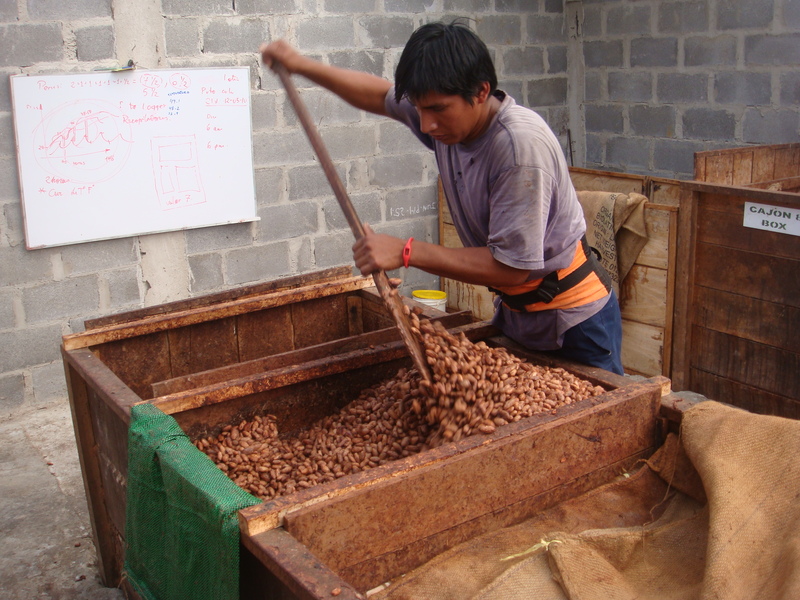 While the fermentation of grapes can take up to four weeks, however, the fermentation of cacao tends to be a lot faster, taking from 4 to 7 days depending on the cocoa variety. 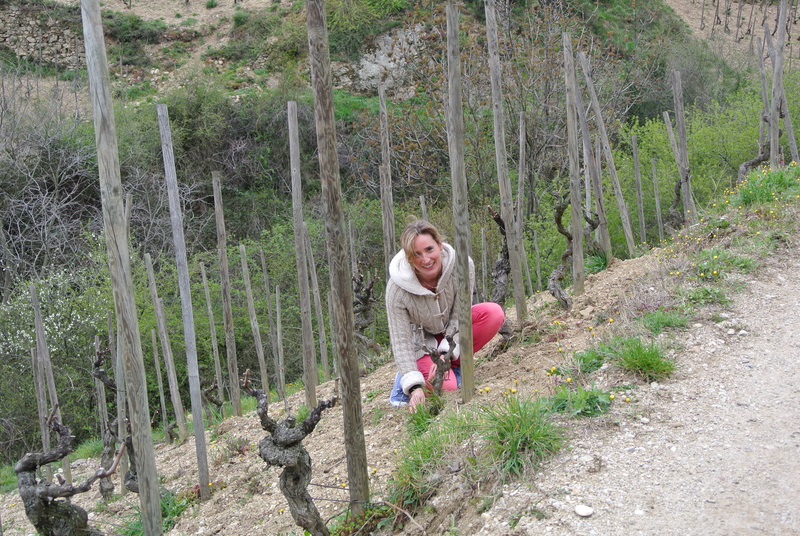 The mineral components of the soil on the hillside above Tain l’Hermitage vary significantly from one vineyard to another. For example, towards the western end of the hill, I am told that the soils are much more granitic. The vineyards around the chapel have their own appellation, Hermitage or Ermitage, because of the soil’s unique components. It is with grapes from this area that Chapoutier makes its ‘L’Ermite’ wine and Jaboulet its flagship Hermitage ‘La Chapelle’. The chapel, rebuilt in 1864, has its own story. During the 13th century, a knight called Gaspard de Stérimberg made it his home on his return from the Crusades. Tired of waging war, he lived as a hermit on a hillside which had been given to him by Blanche de Castille, widow of Louis VIII, King of France. The original chapel was built on the spot where a Roman temple once stood. Now I understand the provenance of the name Tain l’Hermitage, which I had nicknamed ‘Hermit village’ in contrast to my former buzzing city lifestyle! 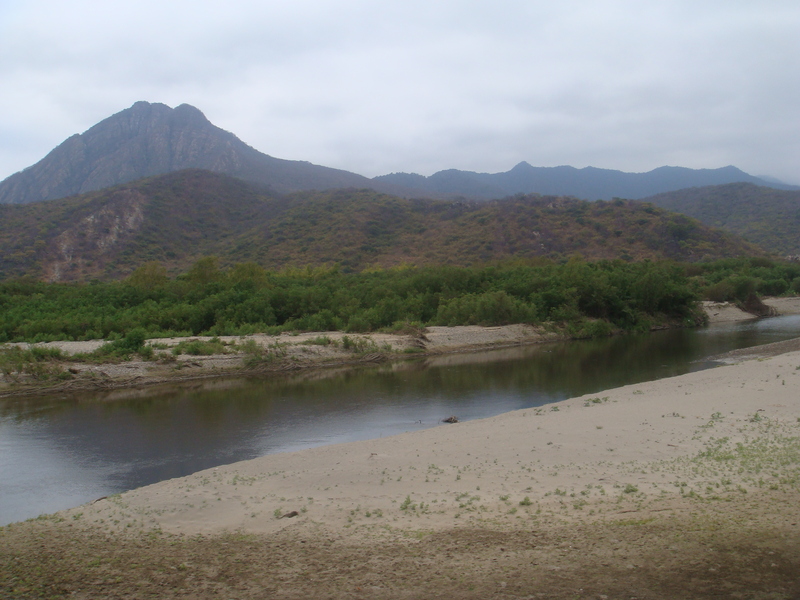 This mystical wine pilgrimage takes me back a year to my time in Peru when I came across the special white cocoa beans that grow in the northern area of Piura, a variety unique to that particular terroir. In a few months from now, the vineyards on the hillside above Tain l’Hermitage will be flourishing with green leaves and luscious grapes. 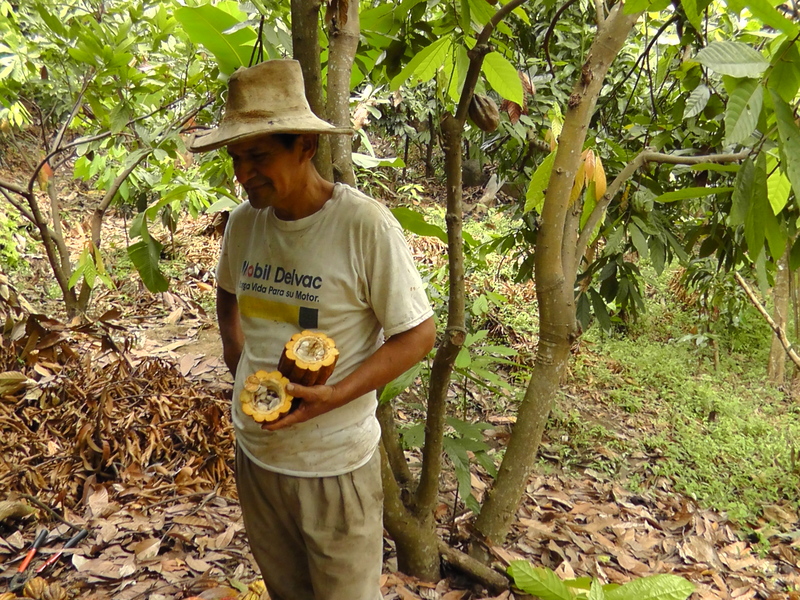 As in the cocoa harvest in Piura, the grapes will be carefully hand-selected to ensure that only the ripe ones are picked. 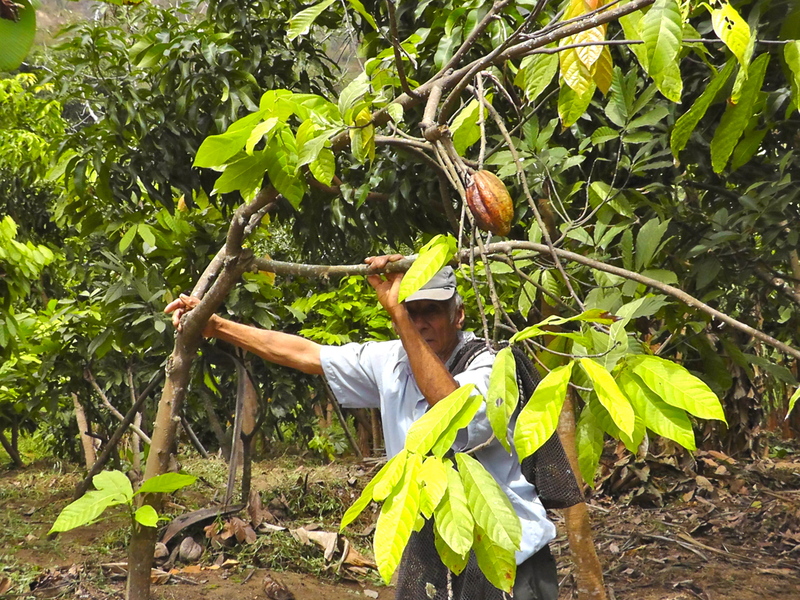 In Piura, meanwhile, the people, the soil and the climate will combine to produce a cocoa variety that will make an exceptional chocolate. Just as wine connoisseurs now acclaim the makers of exceptional Hermitage wines, I hope that one day chocolate connoisseurs will value the work of the cocoa growers and recognise the effort and skill that goes into producing quality and flavoursome beans. I also hope that, as with wines, cocoa-growing regions will one day be granted their own appellations and given the recognition that is due to them for helping us to produce exceptional chocolate. I live your report !!! And the comparison you made with wine !!!! Thank you Lorey, what a lovely and inspiring message. This gives me the encouragement to continue writing, and sharing more of my experience in the workd of cocoa and chocolate.